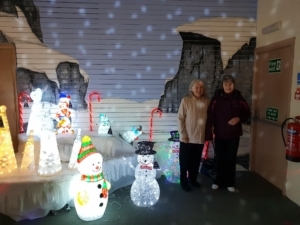 December is always a delightful month within Mother Redcaps Care Home, the staff and residents do not let the wet weather cloud their Christmas spirit! This month a number of outdoor excursions have taken place with our partners OOMPH! including a trip to Carr Farm and Gordale Garden Centre. 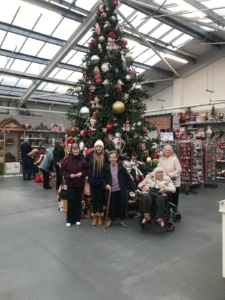 The residents and staff had a lovely day perusing the Christmas treats available to them at Gordale Garden Centre taking in the luxurious decorations as they went. 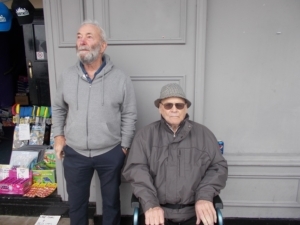 They were able to have a nice sit down with a cup of tea later in the day to talk through each of their experiences throughout the day, promoting engagement and stimulation. 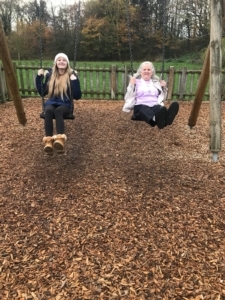 Residents love the different sites and conversations our day trips within the local area create, they are able to be involved in choosing where they would like to venture to next and family and friends are welcome to join us. Thousands of people packed the streets of Liverpool to watch The Giants parade the city for the forth and final time this weekend and Residents from Byron Court and Mother Redcaps were no different. 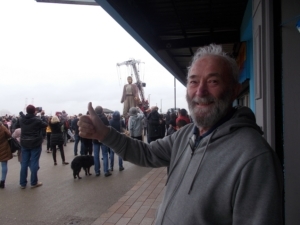 The amazing spectacle was arranged by a French Arts Company – Royal de Luxe, the Residents and staff team felt privileged to be able to watch these truly remarkable puppets roam the streets of their home town, Liverpool. Part of the joy for us is the look on the Residents faces when these awe-inspiring Giants walk by, the event was engaging for everyone who attended and created an opportunity for new conversations to take place. As two of the local homes within the Venturi Healthcare Group attended, it encouraged new friendships between staff and residents alike.